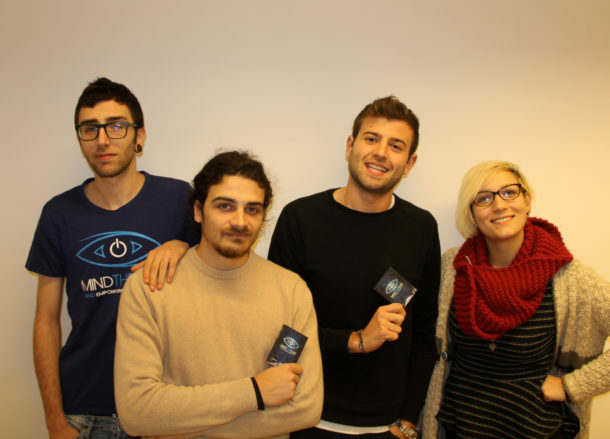 Dante Medical Solutions is a startup working in the pharmaceutical industry and based in Milan. The main product manufactured by Dante is Mind The Gum: a dietary supplement that improves mental performances of concentration and memory through a new method of absorption: the chewing-gum. Several American studies explained that chewing further then improving memory and concentration skills also allows up to a 5 time faster assimilation of the active components contained in the gum. Chewing is also an activity coherent with our main target, the one of students and young employees. Mind The Gum, thanks to its innovative chemical composition that includes 15 different elements (compared to average of 6s of other dietary supplements), unifies the benefits of a stimulant (thanks to the effects of caffeine), of an anti-anxiety ( thanks to the presence of theanine that balances the negative effects of caffeine) and ones of a dietary supplement for memory and concentration. It also contains vitamins, minerals and antioxidants. Every single feature of Mind The Gum is studied to strengthen the efficacy of the product. Even the taste of the gum together with the act of chewing is used to activate one of the most important mechanisms of human brain: the context dependent memory that consists in reconnecting the things a person is learning to the taste of the gum and to the act of chewing, making them more easily recallable by our brain. In 2010 one of the founders of Mind The Gum, Giorgio, had a terrible car accident in which he could have died. His serious health conditions caused by the crash forced him to two years of convalescence during which he had to suspend his studies. As the doctors said since the beginning, for Giorgio it would be almost impossible to keep on with his studies. Nevertheless, Giorgio was determined to go back to university and to graduate as quickly as possible. In order to achieve this goal and to overcome the difficulty in focusing and concentrating after a head injury and two years of inactivity, he started using, or better “abusing”, all kind of products available on the market that could improve memory, concentration and energize him. None of these products, even when taken in over dosage and mixed one with the other, gave him what he was looking for. So here’s where Dr. Andrea Zanetti, owner of Farmacia Legnani, comes into play. Giorgio and Andrea began to look for a solution that could be really effective. After a lot of attempts, changes and adjustments in the chemical composition Mind The Gum was born. With the help provided by the product combined with the determination of Giorgio, he succeeded in his personal challenge passing more than 20 university exams and delivering the thesis in just 387 days. The question then arose spontaneously: Was Giorgio the only student needing such a product? Obviously the answer was no. Every student in the world has a dilemma: how to successfully manage exams without giving up an active social life involving activities such as sports, exchanges, parties or simply hanging out with friends? The case of Giorgio therefore was perfectly extensible to the whole students’ world and so starting from something Giorgio needed it has been found a solution for every student! After the market launch in December 2015, there has been a specific moment since it has been clear that every efforts to really launch this business were not vain: just 30 minutes after the e-commerce was online it crashed for too many visits. In two weeks it has been reached the market results it was expected in first three months. The first problem to face was about the taste of the gum: after the first 30 seconds the gum became bitter. Even if this product was born as a food supplement, we understood that a good flavor was a key feature to be appreciated by customers. After several studies on the composition of the product, the presence of the phosphoserine has been recognized as the cause of the bitterness. So many attempts have been done to rebalance Mind The Gum formulation without changing any of the benefits of the product. In just 11 months Mind The Gum reached 16 Italian cities with more than 500 retailers and half million units sold. 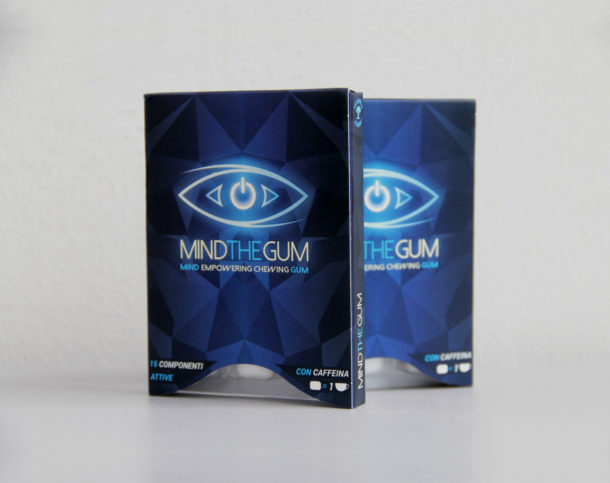 Regarding the short-term development of the brand, Mind the Gum has a main goal to be achieved: expand the sales network both in Italy and abroad (goals that seems to materialize through agreements with different distributors). With this goals in mind, UK and especially London represents the priority of the expansion strategy of Mind The Gum. This objective has been closer and closer since the recent winning of a competition announcement promoted by Assocamere estero that will enable Mind The Gum to be accompanied in its beginning and growth path in UK. Next year will be full of novelties. First of all, Dante Medical Solutions, will launch a new product in the Italian market, always in the form of a chewing gum. In addiction, Mind The Gum aim at increasing its customer the online sales exploiting new digital marketing models and by reaching new targets. Next articleHow to Validate Your Startup Idea?